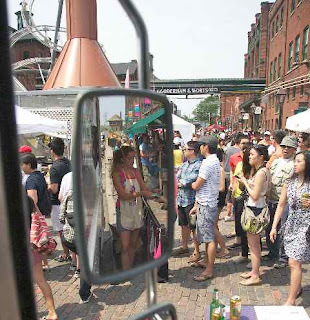 We have gone food truck crazy in Toronto, thanks in part to The Food Truck Eats hosted this past year at The Distillery District. 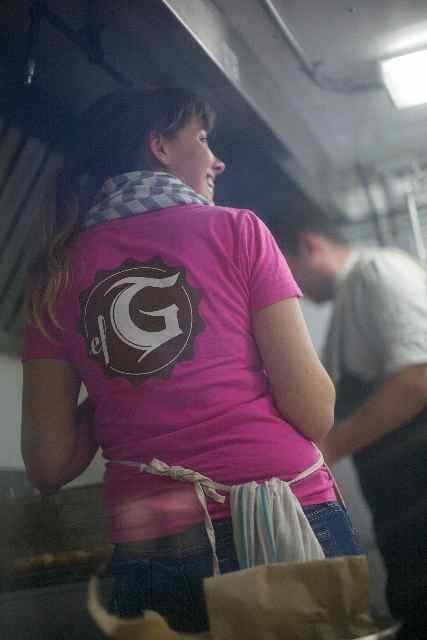 So what's it like quitting your job, starting a food truck and following your passion? We chat with hip + urban girl Tamara Jensen of El Gastrónomo Vagabundo to find out what it's like as a female food truck owner/operator. How did you decide to open a food truck? 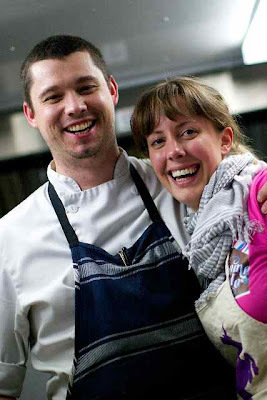 In 2008, my partner and now fiancé, Adam Hynam-Smith, was cooking at a restaurant in Ottawa, playing around with handmade tortillas and creating little gourmet tacos. One of his fellow chefs said "Wouldnt it be cool to have a little bar and sell these things?" and Adam said "wouldn't it be cooler to have a truck?". He came home that day and told me about it. I did some research and discovered there were no gourmet street food trucks in Canada. This was around the time that gourmet food trucks were becoming popular in cities like LA and New York. What was the deciding factor in you quitting your Government job and pursuing this dream? Mentally, it was an easy decision. I didn't feel challenged and I was tired of listening to my co-workers count down to their retirement. Financially, it was incredibly difficult. I had a good salary, benefits, job security and I was about to give it all up, move to a different city and put my life savings (and more) into a food truck. It was incredibly scary to start from scratch in an industry that didn't exist at the time in Ontario. We knew we wouldn't be able to get permits to operate curbside, so we looked for ways around that, like setting up at a local winery and offering catering services for private events. We had to be resourceful and think outside the box to get our name out there in an industry that didn't exist. I've always loved cooking, and meeting Adam in 2007 confirmed my passion for it. He's been cooking in professional kitchens since he was 15, he lives and breathes food. It's been a steep learning curve for me, especially with his knowledge of southeast Asian and Middle Eastern cuisine. What's it like working in food truck? Working in a food truck is hard work, because you can only fit so many people in there to help. It's fast-paced, because people are lining up and we want to get them fed as quickly as possible without sacrificing the quality of our food. We can only store so much on the truck as well, so inevitably I'm the bearer of bad news when I have to cross something off the menu board or tell the people in line that we're sold out for the day. What do you serve and what's your most popular item? We serve globally inspired street food, using as much local (Niagara and Ontario) produce as possible. One of our most popular items is our tempura fish taco with Adam's Bajan mango hot sauce, sour cream and red cabbage slaw. We like to challenge people's perception of street food as well, so we've served items like a foie gras torchon sushi roll and lamb tongue with chili mint relish. It's rewarding to see dishes like these are just as popular. 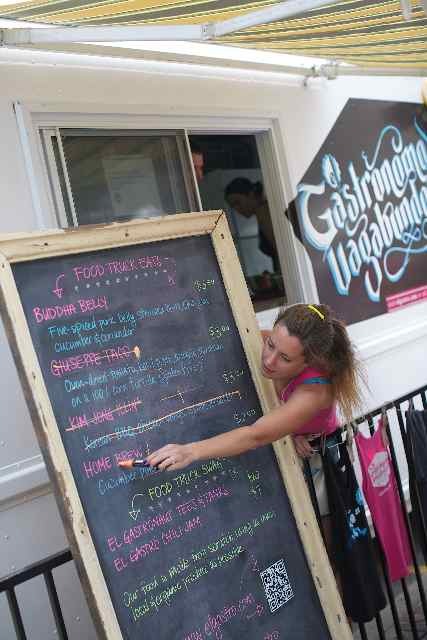 What's the hardest thing about running a food truck? Right now the hardest part is changing people's perception of what street food can be. Ontarians are used to hot dogs, sausages and fries coming from a truck. When they see our menu items, it can take a bit of convincing that a Thai coconut curry or lamb tongue is worth a try. We've won a lot of people over and hopefully changed their minds about trying new things. Running the truck is a 24/7 job. We don't have set hours like a restaurant, so clients call, email and tweet first thing in the morning and late at night, and they expect a speedy response. It's been a challenge to find a balance between work and life and let myself have a day (or event a few hours) off work. Do you plan on still running the truck through the winter? We're hoping to run the truck through winter, doing curbside service in Hamilton and participating in events all over the GTA and Niagara. We'll be serving hot soups, curries and stews to keep everyone warm. I completed a B.A. in Psychology and Visual Arts at the University of Ottawa, and then my Masters in Forensic Psychology at Carleton University. I wouldn't do anything differently. I would tell people to take a (calculated) risk and do what they love. You only live once and there's no guarantee you'll make it to retirement, so why not enjoy what you're doing right now? No two days are the same, but they all start with my checking my email, twitter feed and facebook page from bed in the morning (horrible habit, I know). On event days, I'll help Adam shop for ingredients, prep food, complete paperwork for health boards and city permits, update our website and facebook page with the latest events and menus and then head off to the event. During events, I'm usually in the service window taking and expediting orders. At the end of the day there are usually more emails, tweets and facebook comments to respond to and then we start all over again in the morning. A quiet beach in Thailand, with a small restaurant and bar serving cold beer. That also happens to be our retirement plan! Don't let anyone tell you what you can and can't do. If you follow your heart you'll have no regrets. What life advice do you have for hip + urban girls out there trying to figure out their passion? Keep an open mind. I dreamt of owning a small cafe or a bed a breakfast, and never would have thought I'd end up on a food truck. I love my job now, but I'm still keeping an open mind, because you never know where life will lead you. Feeling inspired? Meet a few other hip + urban girls of the week!